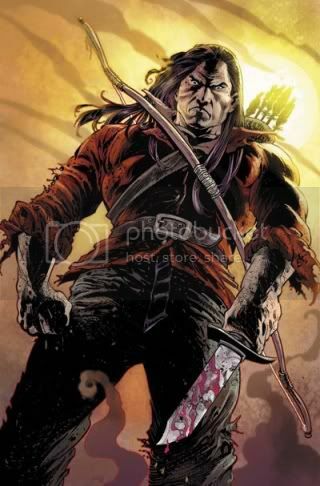 August 23, 2006, Runnemede, NJ â€“Dynamite Entertainment today released images and information concerning the second issue of the LONE RANGERâ€™s triumphant return to the comic racks. 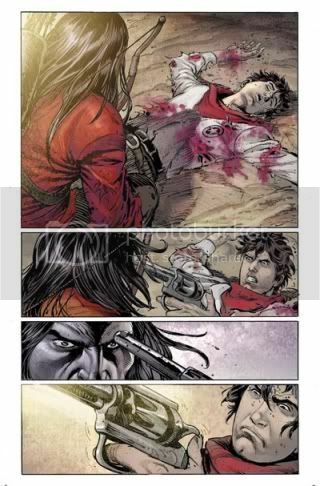 The dramatic origin of the Lone Ranger continues from creators Brett (SERENITY: Those Left Behind) Matthews, John (Astonishing X-Men) Cassaday, Sergio (Lone Ranger) Cariello and colorist Dean (Punisher: War Journal) White. LONE RANGER #2 (AUG063193) -- Written By Brett Matthews; Art Direction By John Cassaday; Art By Sergio Cariello With Colors By Dean White; Cover Art By John Cassaday. 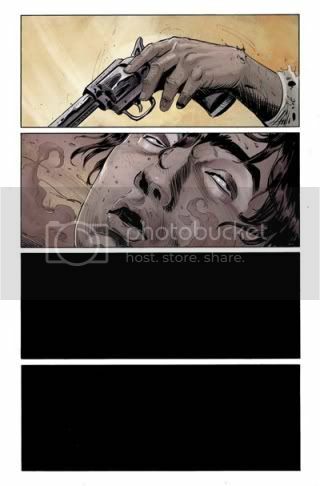 In the second issue of our series, John Reid has been left for dead and is found by an uneasy ally â€“ Tonto! Determined to seek his revenge, Reid forms a plan as Tonto aids in his recovery, but will Julius Bartholomew, aka Black Bart, uncover the truth about Reid? This powerful new tale of the West once again features a solitary and powerful cover by John Cassaday! FANS, ASK YOUR LOCAL RETAILER ABOUT THE ALTERNATE VERSION OF THE CASSADAY COVER! FANS, ASK YOUR LOCAL RETAILER ABOUT THE VIRGIN COVER OF THE CASSADAY COVER! Dynamite plans to have incredible support for this release with house ads, Diamond Previews Ads, online ads through Newsarama, Comic Book Resources, and other partner websites, as well as prints ads in Comic Shop News! DYNAMITE ENTERTAINMENT was founded in 2004 and is home to several best-selling titles and properties. Beginning with their Army of Darkness comic book series â€“ launching as the #1 independent comic in July of '04 â€“ and recently ranked the #1 selling Independent Horror comic -- and continuing to their best-selling Red Sonja series â€“ issue #0 alone selling over 240,000 copies and ongoing issues and one-shots recently ranked among the best-selling titles in unit sales and dollar volume â€“ and not only has Dynamite consistently released Red Sonja as THE top selling single comic outside of Marvel and DC Comics, Dynamite successfully places more titles in the Top 100 than most non-Marvel, non-DC publishers. Dynamite's new monthly Battlestar Galactica series is the company's first major launch of '06, debuting with an impressive 175,000 copies in initial orders sold for the introductory #0 issue. The recently released ongoing Highlander comic book series launched to excess of 100,000 copies sold for issue #0. Now, in addition to the ongoing Red Sonja and AOD series, DYNAMITE has released the all-new Battlestar Galactica comic by Greg Pak and Nigel Raynor â€“ launching with a specially priced #0 issue, having sold in excess of 175,000 copies and recently featured in the pages of TV Guide, A classic Battlestar Galactica comic book series, Xena by John Layman and Fabiano Neves, a Darkman vs. the Army of Darkness mini-series and is preparing the Lone Ranger with Brett Matthews and John Cassaday â€“ and Dynamite has more on the horizon! I love it, great western feel with an edge. My initial thoughts of this series were not that great, but as time passes and the release date approaches, I am getting pretty excited. Now here's something I know is gunna rock ya socks, pilgrims! Here's some awesome preview art for this upcoming issue! Enjoy!